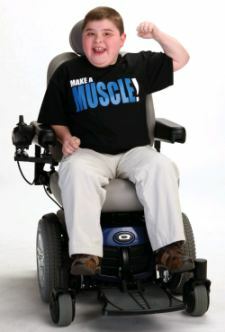 Researchers in public health have reported, in the first broad study in the United States, the frequency of two muscle-weakness disorders that strike mostly boys: Duchenne muscular dystrophy and Becker muscular dystrophy. The research team, led by the scientists at the University of Iowa (UI), found that approximately 1 in 5,000 boys, between 5 and 9 years old, have the inherited disorders. They also find the diseases appear to affect Hispanic boys more often than white or African-American boys, for reasons that are not well understood. The findings are important, because they give a better understanding of the number of children and families affected by the disorders. They also give doctors and health-care professionals valuable information, so they can better plan to care for those affected, especially as the diseases progress. "There were always some rather crude estimates of how common these muscular dystrophies are," says Dr. Paul Romitti, an epidemiologist at the UI and corresponding author of the study, published online in the journal Pediatrics. "It tells us that they're still an important public health concern." Muscular dystrophies are a group of genetic disorders that result in muscle weakness over time. The most common muscular dystrophy in children is Duchenne muscular dystrophy, which predominantly affects males. Historically, Duchenne has resulted in loss of walking ability between ages 7 and 13 years, and death in the teens or 20s. Becker muscular dystrophy is similar to Duchenne, but has later onset and slower, more variable progression of symptoms. There is no cure for either disorder. The appearance of infectious diseases in new places and in new hosts, such as West Nile virus and Ebola, is a predictable result of climate change, says a noted zoologist affiliated with the Harold W. Manter Laboratory of Parasitology at the University of Nebraska-Lincoln. In an article published online on February 15, 2015, in conjunction with a special issue of the Philosophical Transactions of the Royal Society B, Dr. Daniel Brooks warns that humans can expect more such illnesses to emerge in the future, as climate change shifts habitats and brings wildlife, crops, livestock, and humans into contact with pathogens to which they are susceptible, but to which they have never been exposed before. "It's not that there's going to be one 'Andromeda Strain' that will wipe everybody out on the planet," Dr. Brooks said, referring to the 1971 science fiction film about a deadly pathogen. "There are going to be a lot of localized outbreaks putting pressure on medical and veterinary health systems. It will be the death of a thousand cuts." Dr. Brooks and his co-author, Dr. Eric Hoberg, a zoologist with the U.S. National Parasite Collection of the USDA's Agricultural Research Service, have personally observed how climate change has affected very different ecosystems. During his career, Dr. Brooks has focused primarily on parasites in the tropics, while Dr. Hoberg has worked primarily in Arctic regions. Each has observed the arrival of species that hadn't previously lived in that area and the departure of others, Dr. Brooks said. "Over the last 30 years, the places we've been working have been heavily impacted by climate change," Dr. Brooks said in an interview last week. A University of Texas at Arlington bio-analytical chemist exploring proteins, their structures, and functions by using cutting-edge analytical instrumentation called mass spectrometry has received an Academic Research Enhancement Award from the National Institutes of Health. The $354,749 in funding will help in identifying host-defense protein interactions networks caused by environmental and external agents. Dr. Saiful Chowdhury, Assistant Professor in the Department of Chemistry and Biochemistry, is the principal investigator on the project. He is developing a mass spectrometry-based chemical cross-linking technology that will provide information on large-scale protein signaling networks in their natural biological conditions. "Proteins reside inside and outside of the cells, and when we open the cells, most of the interaction information that can help us to better understand disease processes gets lost," Dr. Chowdhury said. "Current biochemical methods are not very efficient to analyze system-level or large-scale protein interaction networks. Through innovative analytical techniques, and by chemical cross-linking of proteins before cell analysis, we can overcome current limitations." Dr. Chowdhury will conduct his studies at UT Arlington's Shimadzu Center for Advanced Analytical Chemistry, which has several high-performance mass spectrometers. He will also utilize a new mass spectrometer with advance protein sequencing features being installed in his laboratory soon. A mass spectrometer is an instrument that can identify protein or peptide (small pieces of protein) sequences by fragmenting them into small pieces and analyzing their masses. Dr. Chowdhury's lab is developing crosslinkers, which contain a specific mass that will be released during mass spectrometry analysis. New film footage revealing, for the first time, details of the potential killer blow that claimed the life of King Richard III has been released by the University of Leicester. The sequence, showing the dramatic injury to the base of the skull, as well as to the inside of the top of the skull, is part of a package of films charting the scientific and archaeological investigations led by the project team from the University of Leicester. It is among 26 sequences taken by University video producer Carl Vivian who is chronicling the key events in the Discovery, Science, and Reburial of the last Plantagenet king. These sequences are accessible to the media by contacting Carl Vivian (details below). Among the sequences, there is one that has never been released before, and shows the moment when Professor Guy Rutty of East Midlands Forensic Pathology Unit, based at the University of Leicester, found the potential killer blow. Drawing on 19 years of experience as a Home Office Forensic Pathologist, Professor Rutty examined the skull and linked marks on the vertebra, the smaller of the two wounds to the base of the skull and a mark on the inside of the skull, suggesting that the weapon had been thrust up from the base of Richard's neck and into his head. Professor Rutty said: "I approached this examination as that of any patient - just because he was a King did not make a difference. Everyone is treated the same with the same doctor/patient relationship, the same respect in death and the same level of professional investigation. "The key to this sequence is that alongside my role at the University of Leicester, I am a Home office forensic pathologist. Thus, I was able to look at the large injury in the base of the skull and, through experience, I was able to identify the key injury. A team of archaeologists and other researchers hope that an ancient graveyard in Italy can yield clues about the deadly bacterium that causes cholera. 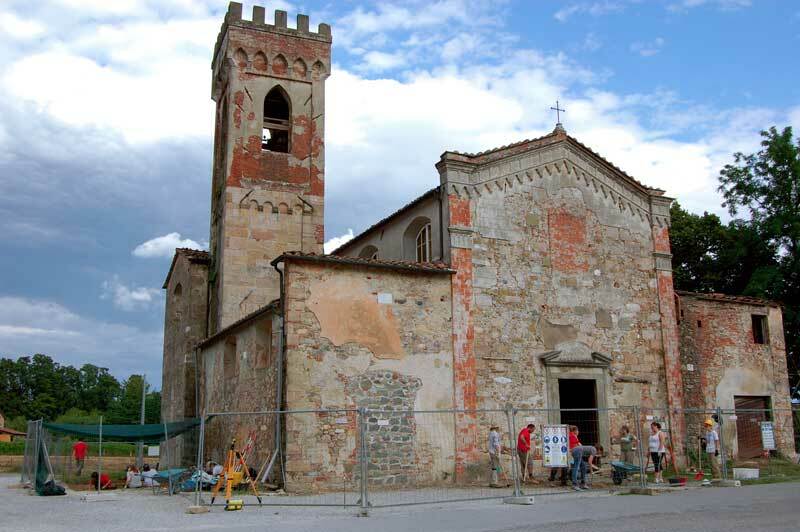 The researchers are excavating the graveyard surrounding the abandoned Badia Pozzeveri church in the Tuscany region of Italy. The site contains victims of the cholera epidemic that swept the world in the 1850s, said Clark Spencer Larsen, professor of anthropology at The Ohio State University and one of the leaders of the excavation team. Archaeologists and their students have spent the past four summers painstakingly excavating remains in a special section of the cemetery used for cholera victims. Finding traces of the pathogen that caused cholera among the human remains could reveal details about how people lived - and died - in this region of Europe. "To our knowledge, these are the best preserved remains of cholera victims of this time period ever found," Dr. Larsen said. "We're very excited about what we may be able to learn." Dr. Larsen discussed the project on February 15, 2015 at the annual meeting of the American Association for the Advancement of Science (AAAS) in San Jose, California The bodies of the cholera victims were hastily buried and covered in lime, which hardened like concrete around the bodies. Researchers suspect residents were trying to keep the disease from spreading. "But the lime encasing is pretty amazing for bone preservation, too," Dr. Larsen said. Not just the bones were preserved. The lime trapped soil around the bodies that contains the ancient DNA of bacteria and other organisms that lived in the humans buried there. One of Dr Larsen's colleagues, Dr. Hendrik Poinar, a professor at McMaster University in Hamilton, Canada, is an expert in ancient DNA and is scanning the soil samples for DNA from Virbrio cholera, the bacterium that causes cholera. Scientists from Nanyang Technological University (NTU) Singapore, the world's No. 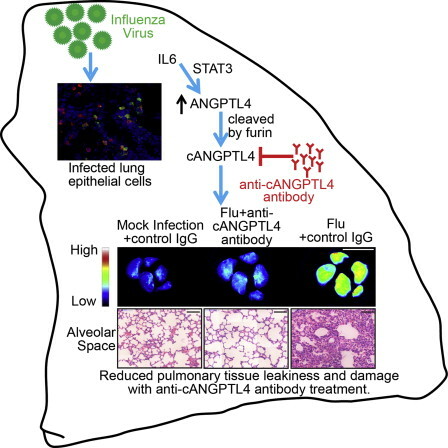 1 young university, have developed an antibody which boosts the survival chances for patients suffering from influenza and pneumonia. Already proven effective in lab tests, the antibody is now being made suitable for use in humans. The scientists are also using the new antibody to develop a diagnostic kit which can help doctors accurately track the recovery progress of flu and pneumonia patients. The patent-pending antibody has generated much interest globally. Two biotech multi-national corporations, Abcam based in the United Kingdom and Adipogen International based in the United States, have won the rights to license the antibody. The two multi-national companies will produce the antibody for sale to global organizations doing research in vaccine and drug development. The breakthrough finding was published in the latest issue of the prestigious international peer-reviewed journal Cell Reports. Influenza epidemics, such as the deadly 1918 Spanish Flu, which killed over 50 million people, or the severe acute respiratory syndrome (SARS) outbreak in 2002, are of big concern to governments and the general populace worldwide. The World Health Organization estimates that influenza results in about 3 to 5 million cases of severe illness worldwide each year, with about 250,000 to 500,000 deaths annually. Pneumonia is the leading cause of death in children worldwide accounting for 15 per cent of all deaths for children under 5 years old, and is among the top 10 leading causes of death in the United States. This new antibody was developed by NTU Singapore's Associate Professor Andrew Tan, who led an interdisciplinary team of scientists from Singapore. Human neural stem cell treatments are showing promise for reversing learning and memory deficits after chemotherapy, according to University of California, Irvine (UCI) researchers. In preclinical studies using rodents, they found that stem cells transplanted one week after the completion of a series of chemotherapy sessions restored a range of cognitive functions, as measured one month later using a comprehensive platform of behavioral testing. In contrast, rats not treated with stem cells showed significant learning and memory impairment. The frequent use of chemotherapy to combat multiple cancers can produce severe cognitive dysfunction, often referred to as "chemobrain," which can persist and manifest in many ways long after the end of treatments in as many as 75 percent of survivors, a problem of particular concern with pediatric patients. "Our findings provide the first solid evidence that transplantation of human neural stem cells can be used to reverse chemotherapeutic-induced damage of healthy tissue in the brain," said Dr. Charles Limoli, a UCI Professor of Radiation Oncology. Study results were published in the February 15, 2015 issue of Cancer Research, a journal of the American Association for Cancer Research (AACR). Many chemotherapeutic agents used to treat disparate cancer types trigger inflammation in the hippocampus, a cerebral region responsible for many cognitive abilities, such as learning and memory. 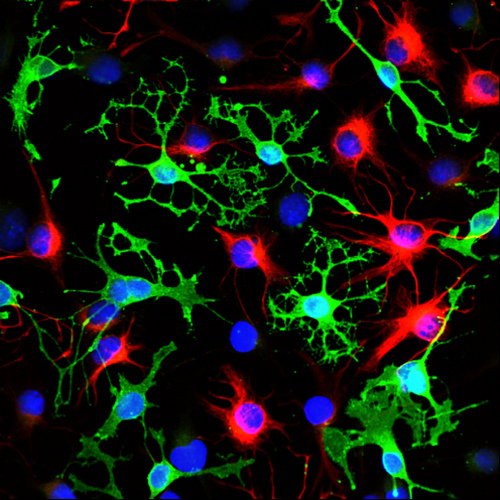 This inflammation can destroy neurons and other cell types in the brain. Additionally, these toxic compounds damage the connective structures of neurons, called dendrites and axons, and alter the integrity of synapses --the vital links that permit neurons to pass electrical and chemical signals throughout the brain. Dr. Limoli compares the process to a tree being pruned of its branches and leaves.